Most of the stuff on sale at the Apple Store, both physical and virtual, tends to be made by Apple itself. Usually if Apple likes a company that makes something that could make its products better, it just buys the company. British company RHA is a special exception, as it sells its line of earbuds directly through Apple. 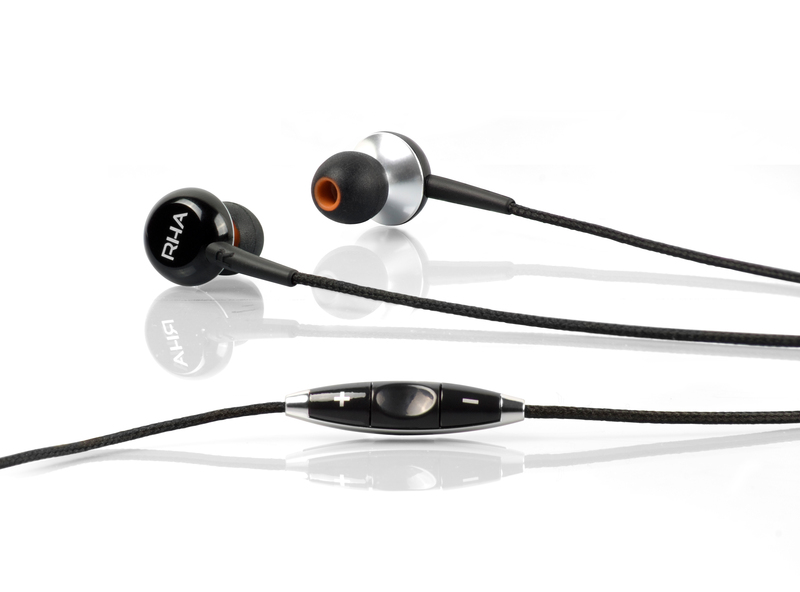 The flagship of their line of just-for-iPhone, iPod, and iPad earbuds are the Ma450is. They offer great sound for hearing nuances even in compressed audio files (as well as glorious, glorious outside noise cancellation) more so than the ubiquitous white earbuds that come with those same Apple products. The extra $49.95 is worth it. More earbud covers than you could possibly use or imagine. While they’re a little hard to get off and on, the upside of that meaning they don’t slip off or make the whole apparatus fall out of your ears when you shift slightly, they come standard with seven slightly different sets to make sure you’ve got absolutely the perfect fit. Certainly no other mainstream earbud set comes with so many lavish options for customization, or, if you’re so inclined, to share with your six siblings, all who have different-sized-by-a-few-millimeters earholes. Also from a tactile point of view, because headphones and earbuds are as much about feeling and bells and whistles as they are about the sonic presentation, is the material of the headphone “string.” It’s not wire covered in black plastic, it’s wire covered in a thin, clothy, rope-like material. I’ve somehow cut through headphone wires before, and I don’t think that’s going to happen. These suckers are tough.